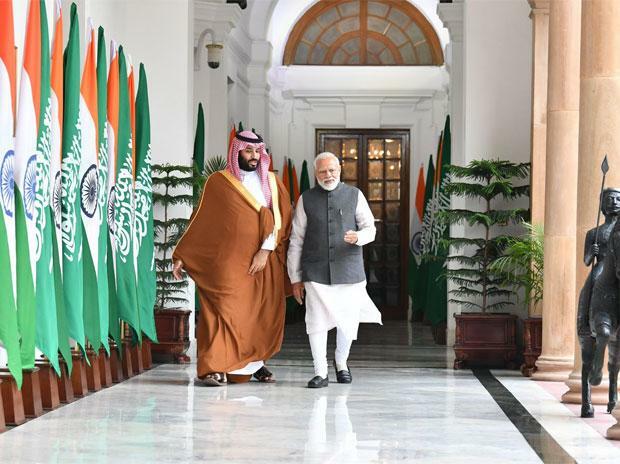 Terrorism and extremism are "common concerns" and Saudi Arabia will extend all cooperation to India and other neighbouring countries to deal with them, Saudi Crown Prince Mohammed Bin Salman said on Wednesday after holding "extensive and successful" talks with Prime Minister Narendra Modi. The talks took place a day after the influential Arab leader concluded a high profile visit to Islamabad, and in the backdrop of India's escalating tension with Pakistan following the Pulwama terror attack in which 40 CRPF personnel were killed by a Jaish-e-Mohammad suicide bomber. In his media statement, Modi called the attack a "cruel symbol" of the scourge of terrorism and sought punishment for the terrorists and their backers. The crown prince did not mention the strike. "Last week's barbaric Pulwama attack was a symbol of the shadow of the inhuman danger hovering over the world. To deal with the scourge, we have agreed that there was a need to ramp up pressure on countries extending any sort of support to terrorism," Modi said, without naming Pakistan. He said dismantling terror infrastructure, eliminating support to terrorism and punishing terrorists and their supporters are very necessary. The two sides inked five pacts to expand cooperation in a range of areas, including trade and investment. The crown prince, in his media statement, described terrorism and extremism as common concerns and said his country will extend support to India and other neighbouring countries to deal with the challenge. "As far as terrorism and extremism are concerned -- which are common concerns -- I want to tell India that we will extend all cooperation to you -- be it intelligence sharing...not only with India but also with the neighbouring countries," he said. "We will work together so that we can ensure a bright future for the generations to come," he added. In his address, Modi also called for a strong action plan for combating extremism and so the powers spreading violence and terror cannot mislead the youth. Modi termed the talks "extensive and successful". In a special gesture, Modi received Salman at the airport here, signifying the importance India attaches to the visit by the leader of the Gulf nation. The joint statement said the Saudi crown prince stressed that dialogue is the only way to ensure peace and stability in the region to resolve "outstanding issues" between India and Pakistan.Saudi Arabia's Minister of State for Foreign Affairs Adel al-Jubeir said in Islamabad that Riyadh will try to "de-escalate" tensions between India and Pakistan in the wake of the Pulwama attack. After he was given a ceremonial welcome at the Rashtrapati Bhavan on Wednesday, the crown prince talked about historical linkages between the two countries and stressed on expanding the ties further. "The relationship between India and Saudi Arabia is in our DNA....Today, we want to be ensured that the relationship is maintained and improved for sake of both the countries and with the leadership of Mr President and the Prime Minister, we can create good things for both the countries," he told reporters. He also talked about the contribution of lakhs of Indians in the overall development of Saudi Arabia. According to the Ministry of External Affairs, the crown prince will leave New Delhi around 11.50 pm on Wednesday. In a joint statement, Pakistan and Saudi Arabia on Monday called for avoiding "politicisation" of the UN listing regime, at a time India is stepping up efforts to brand the Jaish-e-Mohammed terror group's chief Masood Azhar a global terrorist.t.